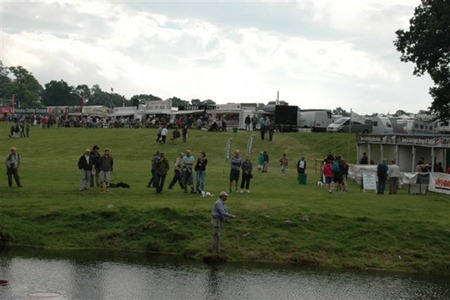 Lowther Country Game Fair 2012. The weather fortunately held out dry and sunny for the weekend of the game fair at Lowther in Cumbria which was very well attended. AAPGAI had organised the fishing island with competitions in accuracy casting, distant target casting for both single and double handed rods, also adult casting clinics for salmon and trout and a junior clinic. It was a relaxed weekend with a good atmosphere and everyone had great fun. There were demonstrations every hour on the hour on the casting pool covering many subjects aimed at the public. 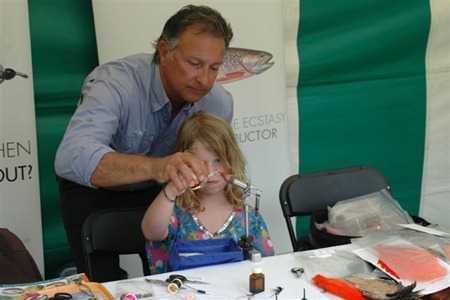 All the AAPGAI team there played their part; Karl Humphries did an excellent demonstration on switch rods and fly casting along with some fly tying in the AAPGAI stand along with Tony Riley. John Young was explaining methods and mechanics of the various basic casts. 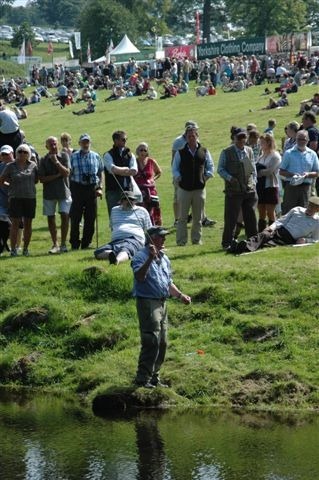 Tony Riley and Glyn Freeman did various fishing casts of both overhead and Spey with fishing techniques along with faults and cures. 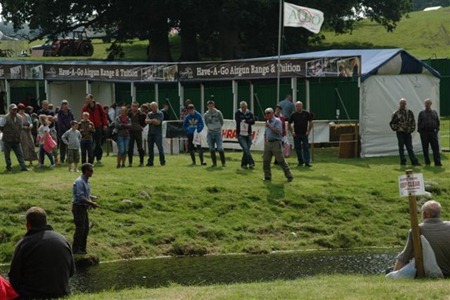 A successful weekend which was enjoyed by all and AAPGAI will be there again in August 10th and 11th 2013.